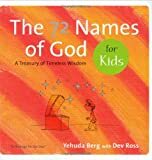 Kabbalah Publishing is a publisher of children's books and young adult books. Some of the books published by Kabbalah Publishing include Satan, The Power of Kabbalah for Teens. Main Address: 1054 S Robertson Blvd.